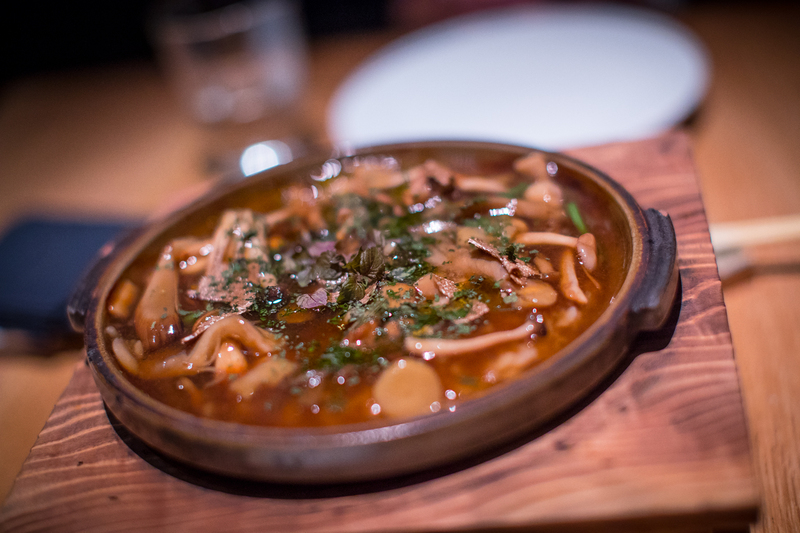 I’ve not posted any ‘Top London Restaurant’ tips for a while so instead, I thought I’d cover off 4 of my favourite recent restaurant discoveries in one go! They are all quite disparate, but their commonality comes from offering vegan menus or strong vegan options, rendering it far easier to eat with a group of friends who have the varied dietary requirements of the modern hipster-millennial hybrid. Some of them are more cafe style – perfect for meetings and casual catch ups – whilst the others lend themselves perfectly to giving your heels a twirl! Thinking about booking in a celebratory occasion this week? Read on for your venue! For pure drama of venue, if nothing else, this is quite a restaurant! 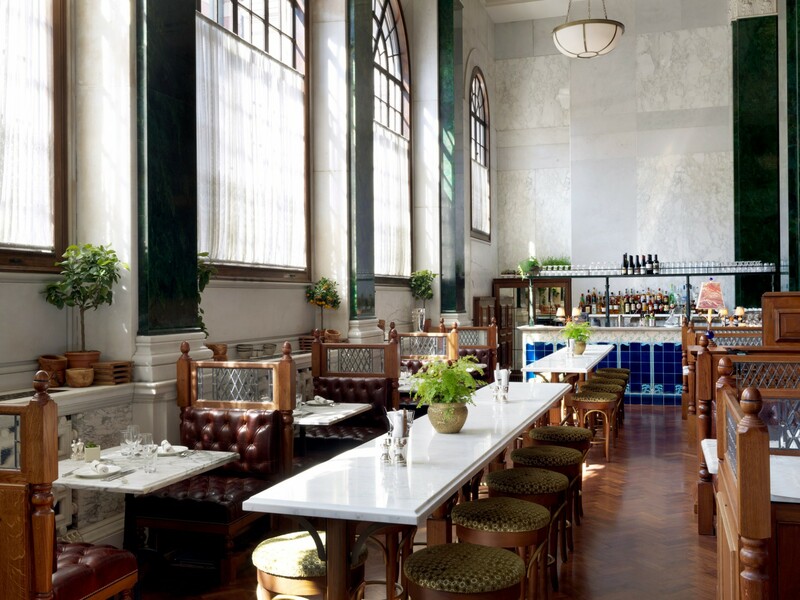 A spot of backround may help set the context here… You’ll encounter Malibu Kitchen tucked within one of the most grand and vibrant buildings in the City – The Ned – the former Midland Bank HQ now expertly reimagined as a hotel and members club by the Soho House group. 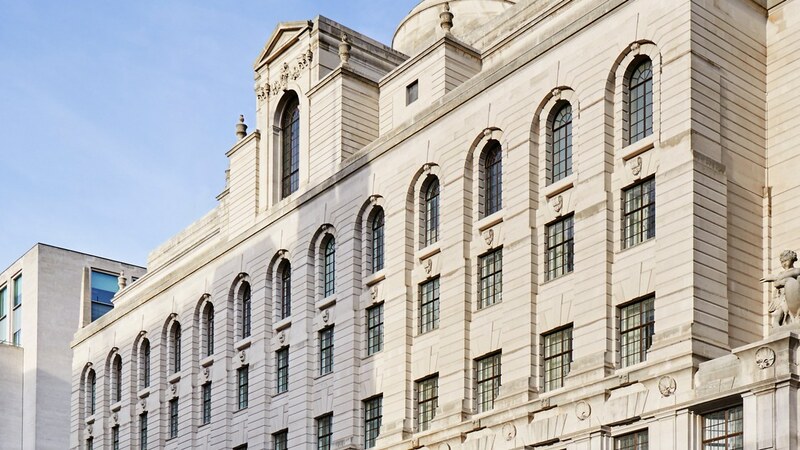 It was originally built back in the 1930’s by Sir Edwin Lutyens, (referred to as Ned) and the building is an architectural masonry masterpiece. There is resplendent grandeur and heritage at every corner, recalling the characteristics of the original bank. For 8 years it was disused but was relaunched in 2017, and Malibu Kitchen sits within the grand banking hall which houses 9 restaurants bars as well as a live band centred for all restaurants to enjoy! It’s safe to says that the venue is steeped with history and has quite some imposing wow factor to it! 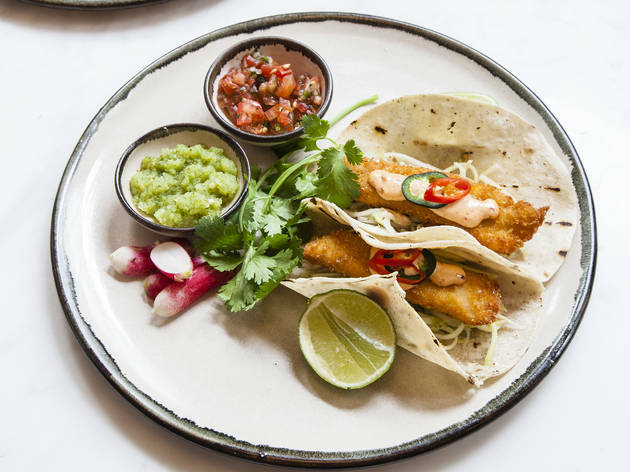 Food-wise, Malibu Kitchen brings the whole Californian vibe I encountered on THIS recent trip, back to this British bank – and it does it with excellent authenticity. It’s the perfect match if you’re looking for a healthy menu which includes plenty of interesting and filling salads, cured fish and plenty of vegan options. It’s not too punchy cost-wise, and I’d countenance a trip during the day or equally as much for dinner. A perfect menu for sharing, I’d highly recommend trying the ‘Young Coconut’, (green papaya, raw vegetables, heart of palm, spicy nuts). Exquisite! Also, if you happen to go for dinner, I recommend heading downstairs for beverage in the original bank vault, now a super cool bar space! I’ve wandered past Texture a thousand times and every time felt intrigued to visit! 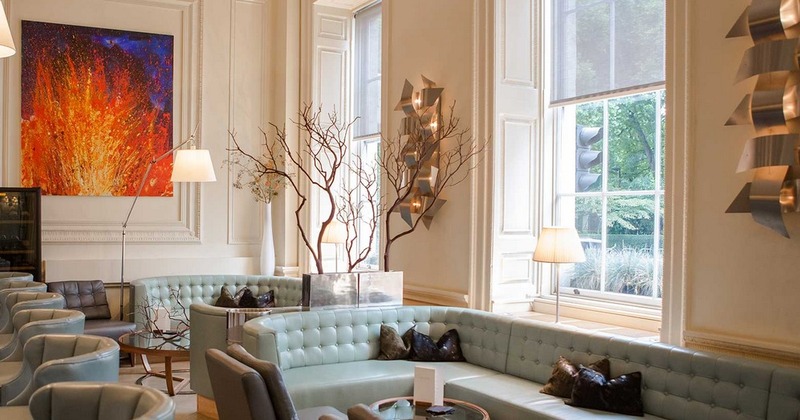 It’s ultra-accessibly positioned on Portman Square, just a stones throw away from Selfridges. It’s has an enchantingly inviting birch tree festooning its porch; just observing the entrance recalls something particularly Scandinavian to me, despite the fact that it’s in a beautifully restored Georgian townhouse. Think grand, high ceilings, shed loads of natural light, and soft cosy furnishings, all of which create somewhat of a visual treat. 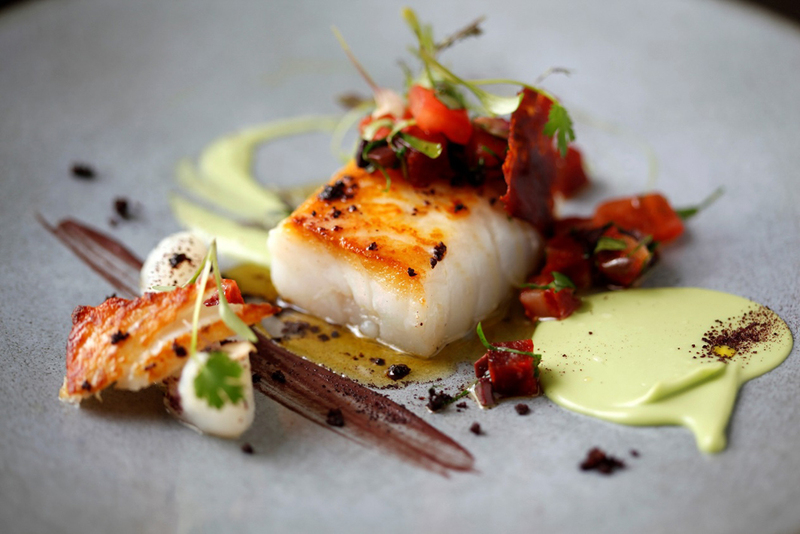 Texture, proud barer of a Michelin star, opened in 2007 as a Nordic take on relaxed fine dining. Aside from my view that anything the Guide Michelin deem ‘worth a detour’ is to be heeded, I was intrigued to see how much ‘Nordic’-ness I felt in the experience – often Scandi themes barely doff their caps to the regional novelty; this place does. 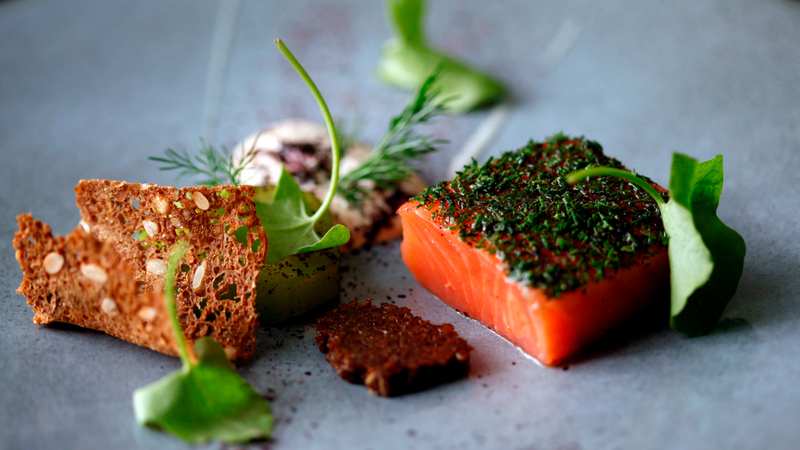 On the website they describe themselves as ‘modern European with Scandinavian influences, and it focuses on combining and emphasising different consistencies, using British produce that is sourced from both the earth and sea combined with ingredients from Sverrisson’s native Iceland – a concept to savour’. The name Texture couldn’t be more fitting as it alludes to something beyond mere flavour. The meal is a journey, and the names of each dish combined with their textures really do give a sense of the landscape of the local flora and fauna. Recounting the performance of the ‘provenance’ would do this a disservice – the waiters do it beautifully. It’s all brilliantly thought through, and highly enjoyable to experience . It’s definitely a place id recommend for a special occasion, and one on which you might like to bring your concentration with you, as its as much about the cerebral experience as it is about the food. The people there were extremely passionate and so warmly welcoming. Whilst it is fine dining it didn’t feel stuffy in the slightest, and I left feeling inspired to create my own beautifully displayed. It also made me want to change my entire crockery set! I have thus far resisted the urge…. 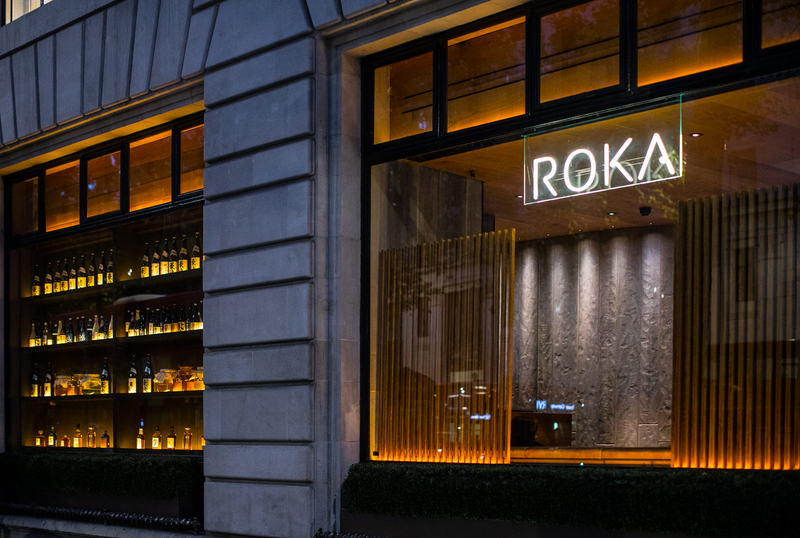 Roka has long been established as one of London’s finest Sushi haunts, with their original Charlotte Street unit having rightly earned some pretty legendary repute. 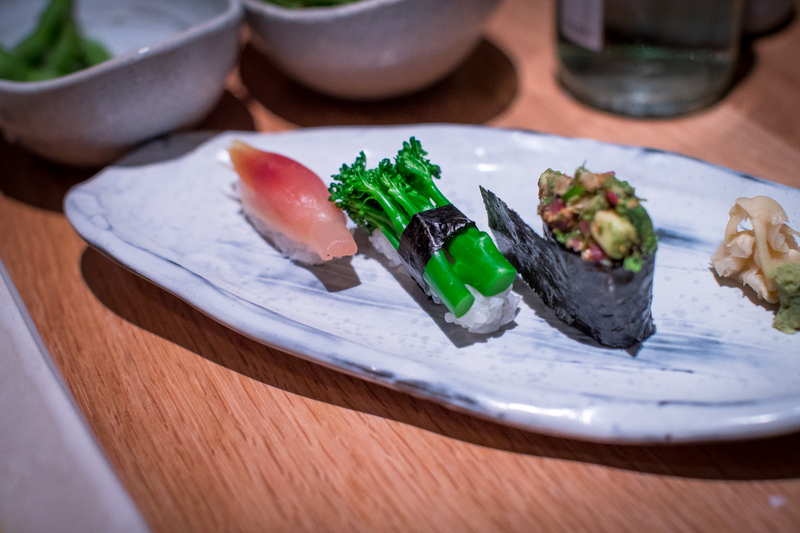 When Roka kindly invited me to sample their new vegan menu at the Aldwych restaurant, I involuntarily thought ‘superb – Roka, I simply love their sushi!’, before swiftly grasping that fish would of course be off the cards! Puzzled as to precisely what I might be having, there was a nagging suspicion that I was to be hankering after the yellowtail sashimi with that exquisite truffle yuzu elixir drizzled all over it. I can tell you I didn’t miss it one bit! The vegan tasting menu is somewhat of a journey of incredibly exciting, filling and delicious episodes! 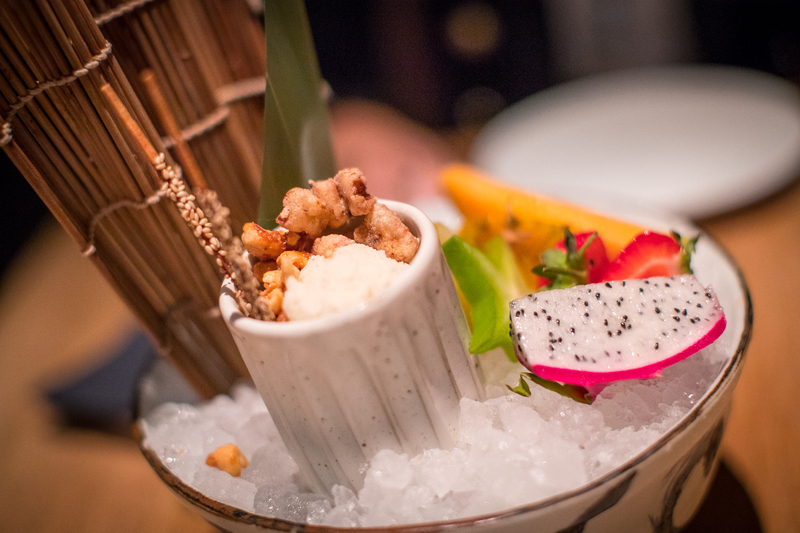 It had all those wonderful, exotic, Japanese light, citric flavours and light yet rich textures you’d expect. I left full of inspiration to head home and create and introduce new ingredients to spruce up my otherwise repetitive vegan roster of dishes! 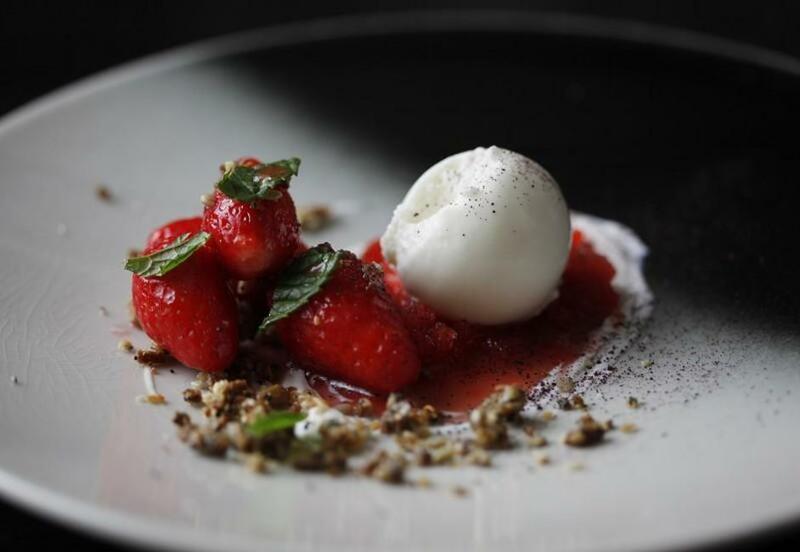 The vegan tasting menu is a mere £39 per person and is served daily. Given the quality and the prestige of the brand, that’s a very good price. It’s exciting, filling and I would highly recommend it! 4. HEMSLEY AND HEMSLEY, Selfridges Body Studio. 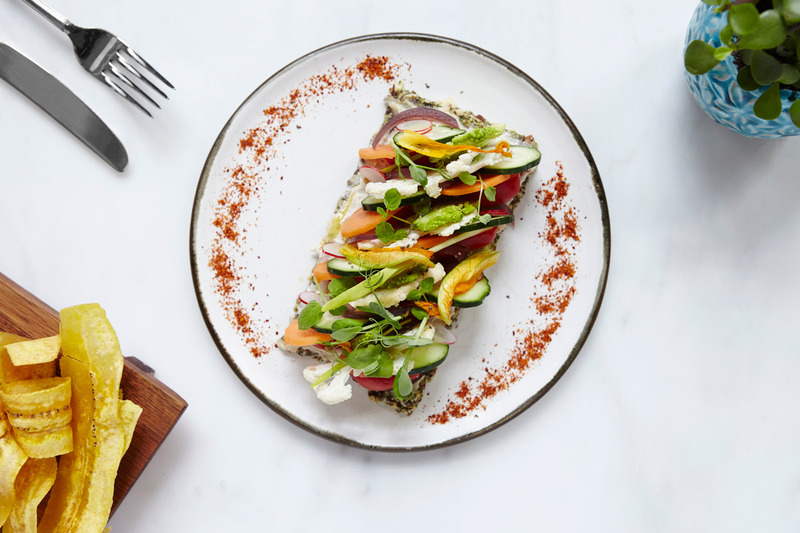 If you haven’t encountered Hemsley and Hemsley, they are a sister-act power-duo who have been at the leading edge of the informed eating revolution for some years. 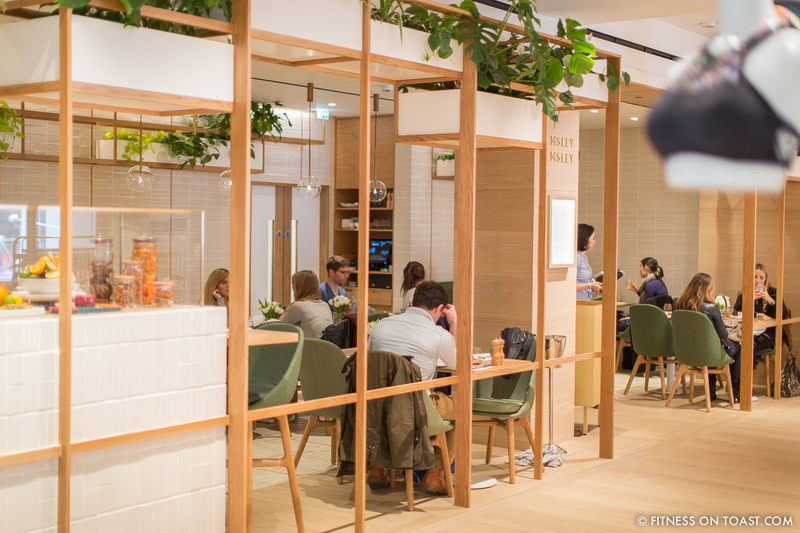 Jasmine and Melissa Hemsley were catering to private clients, including celebrities and top brands such as Louis Vuitton, Chanel and Vivienne Westwood, since which they’ve authored several yummy cookbooks, leading to the denouement of their own café in Selfridges! Which I believe, in some ways is the perfect location; post ‘cardio shopping’ (yes this is a thing, power shopping can demand in excess of 10,000 energetic steps) you may find yourself a little tired – popping upstairs to the third-floor Body Studio cafe to grab some fuel can be a necessity! Hope that’s been a nice little selection of new places to try. Happy sampling dear reader, and a good new week to you! I LOVE fresh food. I lost weight when I stopped eating diet processed food. Love all the pics of natural food. I miss London! Lived there for 3 years and there’s nothing quite like it! These artistic culinary pictures remind me of my visit to michelin star restaurant in The Hague last summer, it was truely remarkable experience dining in such restaurant. I would really like dine in one of those from your list now.